Jeremiah 29 provides a copy of Jeremiah’s letter to the exiles after Nebuchadnezzar had been taken from Jerusalem to Babylon. The purpose of Jeremiah’s letter is twofold. First, keep Israel from being apathetic. Second, to keep Israel from being deceived by the prophets and diviners who told them they will return to Jerusalem soon. The Bible tells us we are like Israel. We are foreigners and aliens in this world (1 Peter 2:11; Hebrews 13:14). We live in a land that is not our home. Even so, like Israel, we are to work, build, plant, eat, marry, multiple, and seek the welfare of the cities in which we live. Prayer is one way to seek the welfare of our cities. 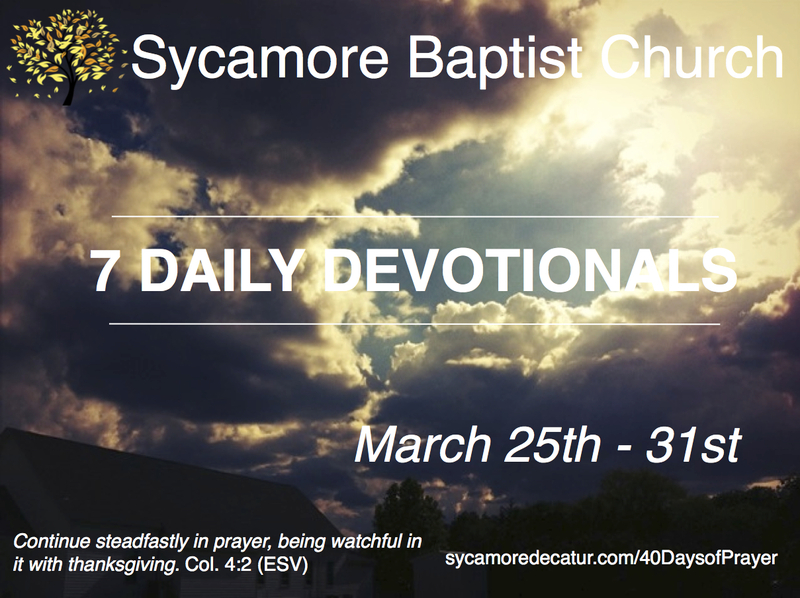 Starting April 1st you have the opportunity to join us and others for 40 Days of Prayer. During this time, we will focus on praying for the welfare of our cities. We hope to be praying alongside you then. I see so many similarities in our journey and the Israelite journey. God leads us but we often grumble. He does great things before us but we want more. If I can only ever learn to listen and be content; to plant where He wants me to plant, to move when He wants me to move. I’m confident life could be much simpler than I make it sometimes. I agree. Our journey is similar with the Israelites. We do grumble especially when God is taking care of us and leading us. I think it is because we often don’t want God’s leading in our life. I know I have to remind myself often that where God wants me is the best place for me. Doing His work is what I have been set apart to do.